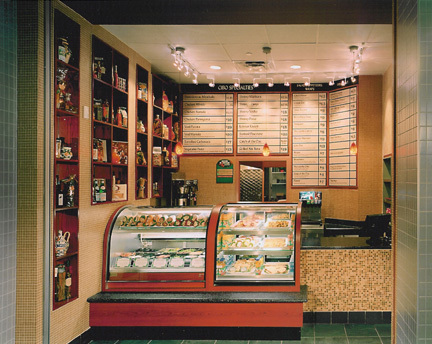 New tenant fit-out featuring a 45 under-lit onyx bar, a 20 tall illuminated back bar, & a quick serve counter. 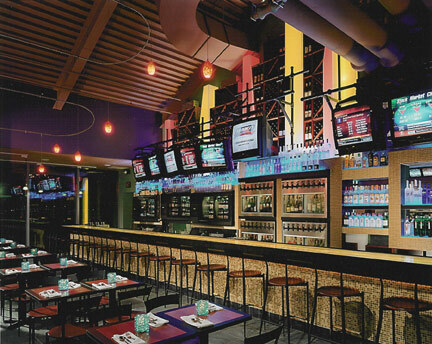 The bar features pour-per-glass wine dispensers and beer displays. 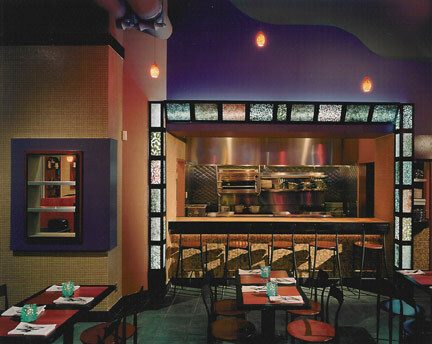 Colorful backlit panels of encapsulated spices also frame the Drama Kitchen. This location provides a more up-scale dining experience.